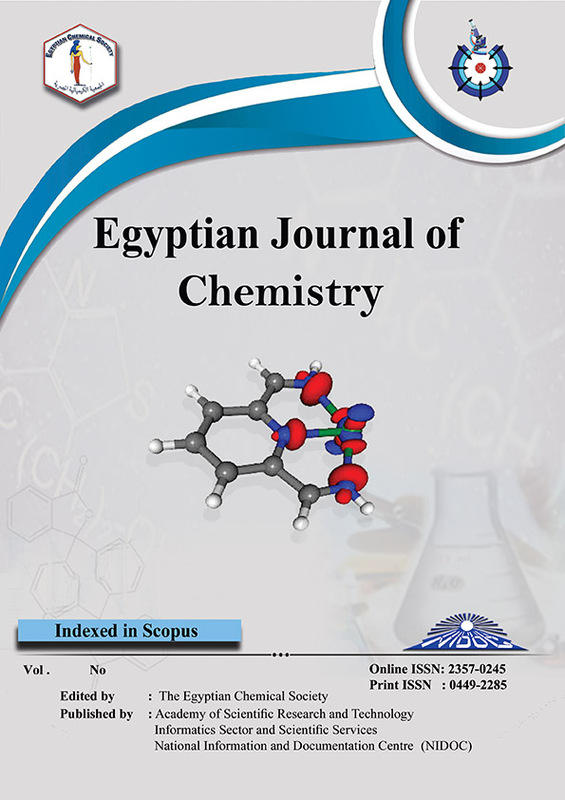 2Department of Chemistry, Faculty of Education, Ain Shams University, Roxy, Cairo 11341, Egypt. 2-[α-(o-hydroxyphenyl)ethylidenehydrazino]-4,6-dimethylquinoline (AHQ) and 2-[α-(o-methoxyphenyl)methylidenehydrazino]-4,6-dimethylquinoline (BHQ) have been synthesized and characterization is performed by elemental analysis and electronic, vibrational and mass spectra. The pKH and log K were gritty in 75% solvent-water pH-metrically for BHQ ligand and at various temperatures for AHQ ligand. The dissociation and stability constants in the aqueous medium for BHQ ligand have been calculated by the relation of pKH or log K with solvent parameters (D, ET, AN and DN). The isokinetic temperature was determined by using a linear regression analysis (LRA) of ΔΗ° vs. ΔS° for AHQ complexes. The thermodynamic parameters of AHQ compounds were analyzed into their electrostatic (el) and non-electrostatic (non) or cratic components. Full geometrical and structural optimizations of the ligands have been performed by a DFT study by using the hyperchem program.